Mission Australia says young people need the right supports to deal with mental health issues. Mental health is an issue of increasing concern to young people in the ACT, according to Mission Australia’s Youth Survey 2018 released today. It found the number of young people in ACT reporting concerns around mental health had risen by 10.8 per cent in one year, with four in 10 (40.9 per cent) of ACT young people identifying, for the first time, mental health as the top issue facing Australia today – up from 30.1 per cent in 2017 and quadrupling since 2015. The top three issues of national concern identified by young people from the ACT were mental health, alcohol and drugs and equity and discrimination (40.9 per cent, 23.4 per cent and 19.3 per cent respectively). While in 2017, equity and discrimination was the most important issue in Australia according to young people in the ACT, mental health took its place this year and also entered the top three issues of personal concern in the survey. The top three personal concerns for ACT young people were coping with stress (43.6 per cent), mental health (36.1 per cent) and school or study problems (33.7 per cent). In previous years, the third most cited item in the ACT was body image (33.3 per cent), which moved to the fourth spot in 2018. Mission Australia’s NSW/Victoria/ACT State Director, Nada Nasser said it was time to heed young people’s clear and growing concerns around mental health and take immediate action to ensure all young people had access to the right supports. “It’s important that we acknowledge the robust efforts in the ACT, nationally and internationally that have increased public awareness about mental health and helped to reduce the stigma of mental health issues,” she said. “As a priority, we must ensure that this increased awareness goes hand-in-hand with adequate access to the right help when needed. Access to appropriate and timely support can make a real difference in a young person’s life. 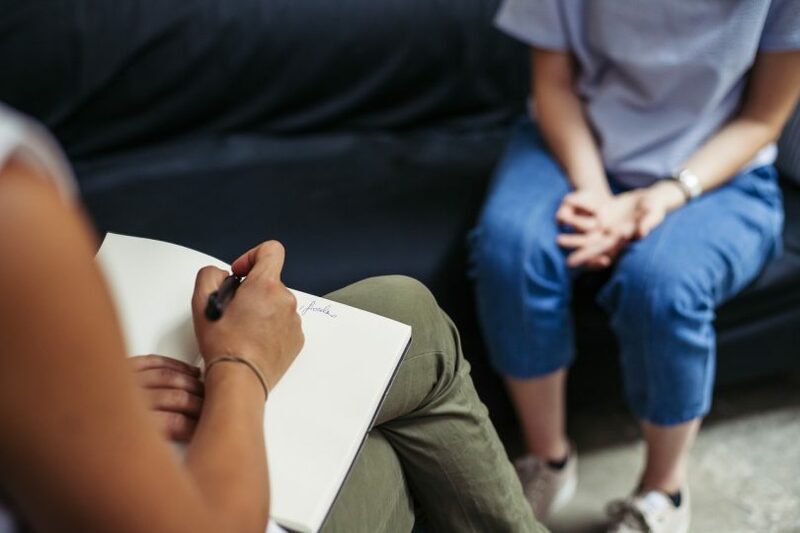 Just over half of ACT’s female respondents identified mental health as a national concern, while under one-third of ACT’s male respondents reported this as an important issue in Australia. Now in its 17th year, the Mission Australia Youth Survey continues to be the biggest annual survey of its kind. A record 28,000 young people aged 15 to 19 took part in the Youth Survey 2018, including 336 young people in the ACT. Mission Australia said that for the first time in 2018, young people were asked whether they felt there were any barriers to moving out of home, with housing costs (72.0 per cent), financial stability (58.6 per cent) and availability of housing (43.5 per cent)) identified as the top three barriers in the ACT. More than double the proportion of females (1 in 5 females in the ACT) reported security/safety as a barrier to moving out of home. Nearly four in 10 young people in the ACT who were surveyed identified that they felt there were barriers to them finding work (38.8 per cent). In the ACT, the top three barriers young people identified as impacting upon them finding work were school responsibilities, lack of skills or experience and job requirements (20.5 per cent, 17.6 per cent and 14.0 per cent respectively). Across the nation, more than twice the proportion of young people in regional areas than those in major cities felt that where you live was a barrier to finding work (13.3% compared to 6.4%). The Youth Survey 2018 also shows that many young people both nationally and in the ACT reported feeling confident in their ability to achieve their study or work goals after finishing school. However, one in eight young people in the ACT reported low levels of confidence. “While this new data shows that many young people in the ACT are optimistic about achieving their post-school goals, we know that more must be done to address the barriers standing between young people and their aspirations,” Ms Nasser said. The results of the Youth Survey are shared across Governments, NGOs and social commentators to inform the debate around the circumstances of young people in Australia and to support the development of policies, services and programs that have the needs of young people at their core.